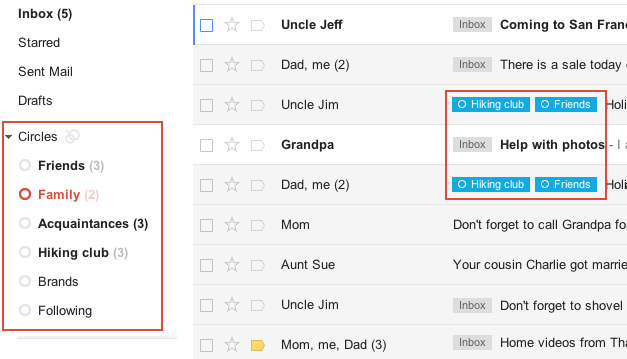 Gmail is now integrated with Google+ which allows Gmail users to add people to circles, filter emails based on circles and update details of the contacts on Google+. This announcement was made on Google’s official blog few days ago.Below are the new features that are added to Gmail interface. When next time you log into Gmail and open an email from a friend who also has an account on Google+, then on the right side of the email you”ll be able to see the recent post he shared with you on Google+. If that particular person is not in your Google+ circles yet, you can directly add him by clicking on ‘Add to Circles’ button. 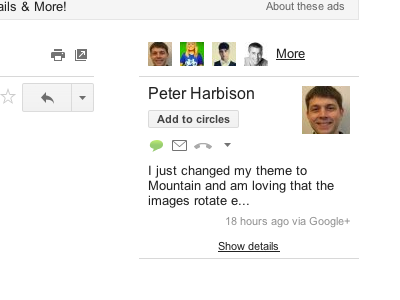 Left Panel in Gmail now shows Google+ Circles which you can use to filter the emails. For e.g. on Google+ you created a circle for your colleagues named ‘Office Friends’ then when you click on this circle name in Gmail left hand menu, emails from people in that circle will be shown to you. This is really a good feature which allows to filter the emails easily. 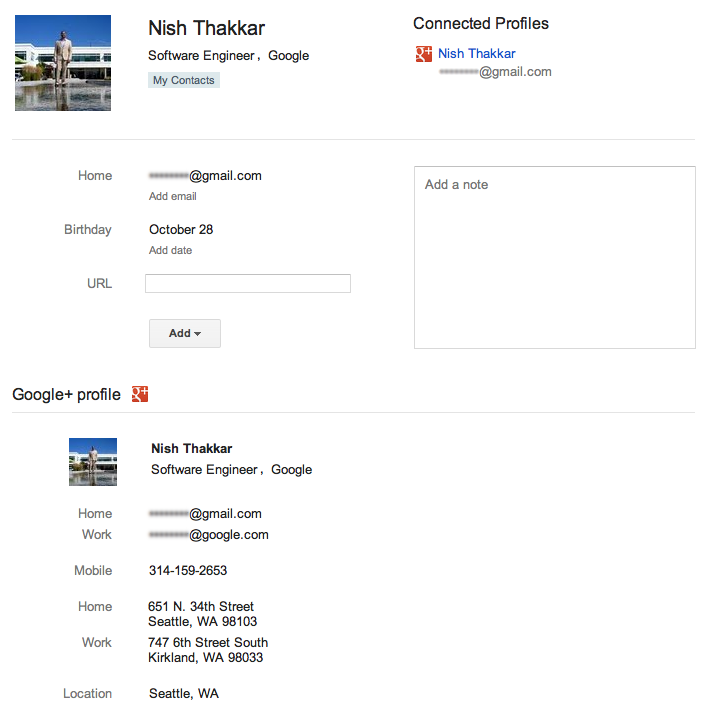 If your Gmail contacts have a Google+ Profile then their profile information will be synched with Gmail and you will always get their updated contact details. 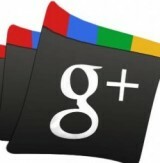 Information that you see for a contact depends on what they have shared with you on Google+. This new integration allows you to share your pics directly from email message. Just click on ‘Share’ button and then choose the circle with which you want to share your images.